Master of Deluge & Chill. 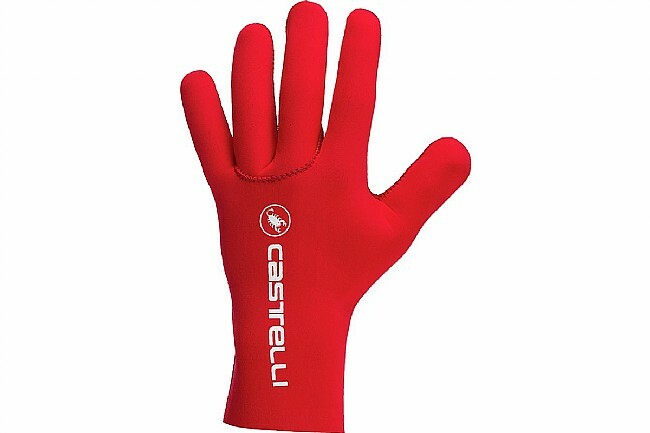 Equipped with the Men's Diluvio C Glove from Castelli, you can repel both rain and cold thanks to the same effective full-finger, extended cuff construction of its predecessor, the Diluvio Light, with an extra layer of insulating neoprene for even greater warmth. The overall neoprene construction provides reliable insulation while thermally bonded internal seams provide protection from water infiltration. This glove is snug, like a second skin, ensuring a natural, non-bulky feel for easy shifting and braking. The extended cuff design covers the wrist to prevent the dreaded, ride-ending bone-chill that results from exposed skin. Grippy silicone dots on the palm prevent slipping on the hoods and bars in wet conditions. Temp. Range: 41 to 61℉ (5-16℃). I purchased these gloves and have used them on 30-40 degree temperature rides in central Kentucky. They were warm but unfortunately my hands get very sweaty in them. As such I have switched to a more breathable pair of gloves. Durability has been excellent thus far. Neoprene keeps the cold rainy weather out. It is a warm glove without the bulk. The Diluvio C glove keeps the hands warm in the 40's. 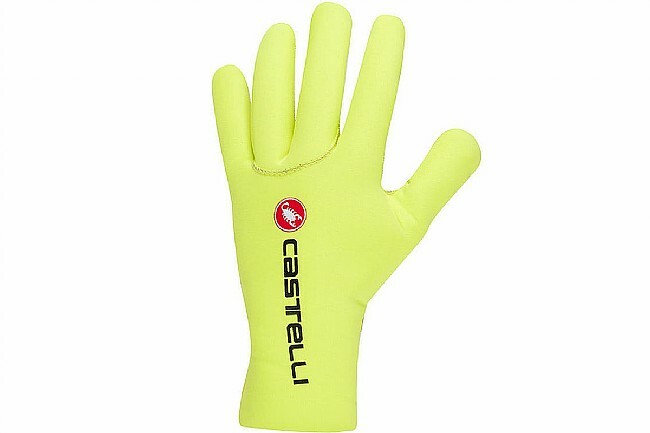 Several people in my club have purchased the glove and really like them. Price is good and the glove is great. I bought these for Mt .Biking on coldwet rides, the fit is good however the seam that runs down the thumb is in a bad spot rubbing on the inside of thumb. They may be more comfortable for road riding given the different hand position. My husband loves these gloves! I gave these gloves to my husband for Christmas this year and he was so excited to get them. He rides his bike all year and in Pa, that means all kinds of weather. Hes used them and said that they are perfect!